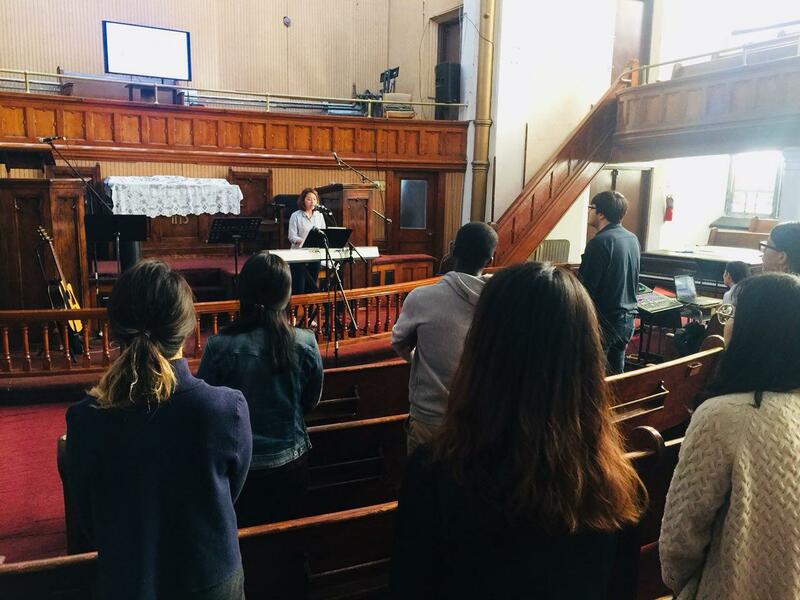 NYC Immanuel Church held a Semester Kick-Off Retreat for college students and concluded with the overflowing grace of God on September 29th. The retreat with the theme of “No other name” focused on the salvation through Jesus Christ through 3 stories in the book of John. The first lecture was delivered on John 4, the story of the Samaritan Woman. The message highlighted the spiritual thirst that this woman had and suffered from. The greatest sin that was mentioned in Romans 1 is the godlessness. When Man leaves God and does not want to retain Him, what follows is to worship idols. As this woman had many husbands to fulfill her thirst, we tend to make many idols to get the satisfaction from. But as it is not quenched by those, they keep searching for something more thrilling and sensational and reach to the extreme sin. Jesus knew her deep thirst and limit that she is facing, so approached to her to give the eternal living water. As she brought her old husbands to him and form the new relationship of love with Jesus, she was able to get this eternal living water. The second lecture was preached on John 2, about the Wedding Banquet in Cannan. She explains how the life that we live putting Jesus as the center and bridegroom of our lives can be different from the life that he is invited as a guest. The banquet of the world and its pleasures degrades through time, but the life centered around Jesus will only get better through time. She also mentioned the story of Jesus purifying the temple. In order for us to be built again newly, it is not that we fix here and there a little bit but completely our lives need to be destroyed and built up newly again. The last lecture was delivered the message on John 3, about the rebirth. A leader of the council, high-rank religious leaders came to ask Jesus, but he could not understand the spiritual rebirth that Jesus was talking about. There is the level of the law, but we have to reach the level of the gospel. She also explains the meaning of inward baptism and circumstances. As it is our spirit to be renewed and circumcized to carry the meaning. Newcomers from NYC, Newhaven, and Boston joined the retreat and shared the gracious reflection during the time. 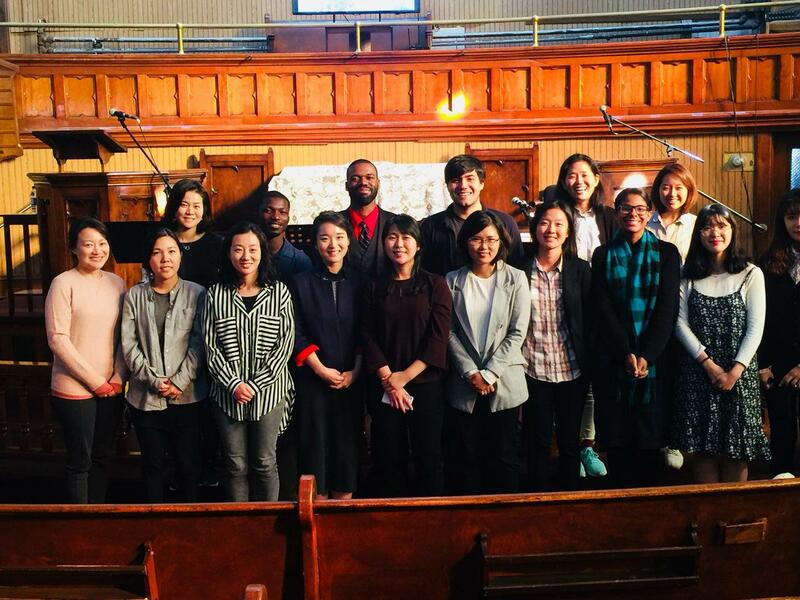 Through 3 Bible studies, breaking bread, activities, and prayer, attendees experienced the true fellowship in Jesus Christ and testify their joy and gratitude to attend it. The event concluded by giving thanks and all the glory to God.